Do you have a warning light or trouble code for a Charging System problem? If you are reading this, it is likely that you have a warning light or trouble code for a problem with your Nissan Charging System. This means there is an issue with one or more of the vital components that help recharge your battery when its voltage dips below a certain point. Nissan engineers designed your charging system with an alternator, wires, battery, and electrical control unit that can wear out over time due to a variety of driving factors. Since your battery is what starts your engine and your alternator powers all of your electrical accessories once the engine is running, your Nissan Charging System is critical for both your driving experience and safety. 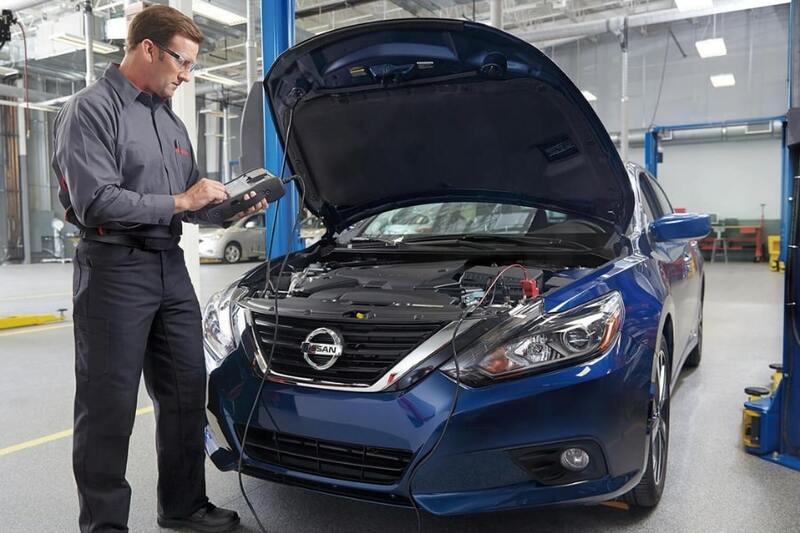 If you have one or more of the symptoms of a Charging System malfunction, then scheduling a Nissan Charging System Service is in your best interest if you want to start your vehicle reliably in the future. Lang Nissan at Mission Bay is conveniently located in the San Diego metropolitan area within driving distance from our friends living in Pacific Beach, Ocean Beach, Chula Vista, and La Mesa. We staff a team of Certified Nissan Technicians and manage a robust inventory of all the Genuine OEM Nissan Parts to restore your Nissan Charging System to factory specifications. Relax in our Comfortable Customer Lounge, grab a little something from our Vending Machines, and let our Knowledgeable Service Advisors manage the rest. All you need to do is schedule service, check in, and we’ll take care of the hard work.